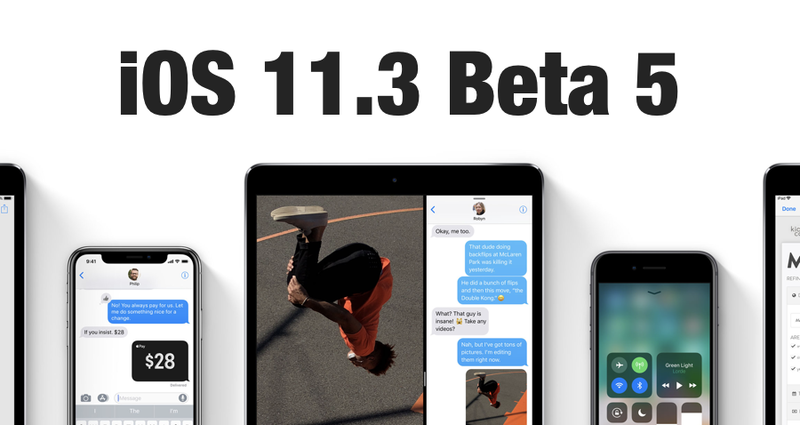 Apple has released iOS 11.3 beta 5 to developers, bringing a handful of bug fixes and features changes, but more importantly drawing us one step closer to the final release. The download is available as an over-the-air update to any device already on the developer channel, so if that means you, go hit up the Settings app right now. iOS 11.3 is expected to bring new battery health features, along with new Animoji and ARKit improvements and the usual stability and security updates. Apple has a spring event lined up for sometime later this month (the exact date hasn’t been revealed as of the writing of this article). At that time, Tim Cook will roll out possibly newly-refreshed Macbook Air laptops, but definitely new iPads. And what’s a new iOS device without a shiny, fresh OS update? In addition, iOS 11.3 beta brings the newest version of Apple’s augmented reality kit, ARKit 1.5 In addition to horizontal surfaces, ARKit will now be able to recognize and place objects on verticals surfaces, like walls and doors. It can recognize the position of a sign or a poster, which Apple says can be utilized for interactive museum exhibits or bringing movie posters to life. Plus, the view from the camera now has a 50% greater resolution and auto-focus. What’s New in iOS 11.3? Devices should now be recognized by the host computer after updating a device to iOS 11.3 beta 4 and later. iOS 11.3 beta 3 and later support iPod touch (6th generation).